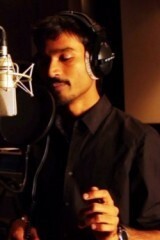 Director Selvaraghavan has directed the recently released Mayakkam Enna which had Dhanush and Richa in the lead roles. This film is doing very well at the box in spite of mixed reviews. Selvaraghavan had recently mentioned that he has already readied a story which can have Vijay and Ajith in the lead roles. Selvaraghavan while speaking to the media said, " Many people appreciated me after seeing Mayakkam Enna. As far as I am concerned I am interested in directing different genre of films instead the usual commercial films. I don't have any difference of opinion with Yuvan Shankar Raja. Very soon we both will be working together. Many are asking me that when I am going to direct Vijay and Ajith. I have decided to cast both of them in my film. The script for that film is ready. My next film will be Erandam Ulagam which will have Arya and Anushka in the lead roles. Apart from this I have scripts for two thriller films. I will be commencing the Part 2 of Aayirathil Oruvan next year." Some months ago it was reported that Venkat Prabu will celebrate the triumph of Mankatha and start the movie for Sona. But this could not happen due to various reasons. Now there is a buzz that VP is on the verge of making a film on bilingual, Tamil and Telugu. The film is the product from Studio Green and may have Surya in the lead role. However, neither Surya nor VP confirmed this. 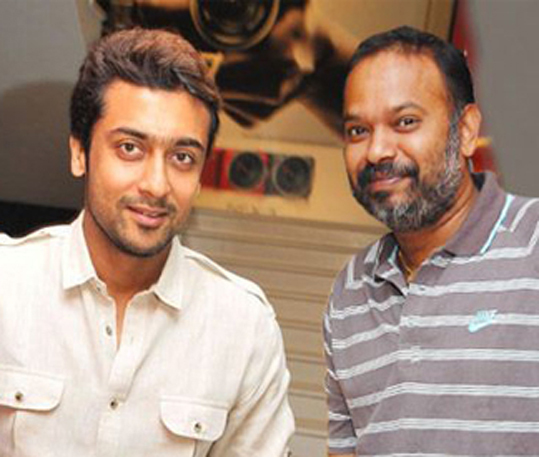 Since the production house is the family circle of Surya it was assumed. VP is to finish the script first and get the consent from Surya, who is currently busy completing Maatraan. VP revealed that the film will have the elements of action, romance, sentiment and above all humor. As usual, his cousin Yuvan Shankar Raja will score the music. This could be a good exercise after Mounam Pesiyathe, Nandha, Vel for Surya from Yuvan. It is also said that Trisha or Anushka will be approached for this film. We have to wait for some more time till everything goes on official note. 250 Kung Fu fighters are gathering in Chennai to participate in the shooting of Mugamudi. Mugamudi is a film being produced by UTV Motion Pictures. Jeeva, Pooja Hegde, Prakash Raj and Nagewarara Rao are starring in this film. Narain is donning the villain role in this film. Kay who had composed music for the film Yuddham Sei is composing music for this film. Mysskin is directing this film. The shooting of this film was commencing on 5th of December. An enormous set has been erected in a stadium in Chennai. Kung Fu fighters will be participating in the shooting in this set. The fighting sequence between Jeeva and Narain will also be shot in these sets. Jeeva is donning the super hero role in this film. Jeeva will be wearing special costumes in this film. It is understood that these costumes are being designed at a whooping price. As the national television scooped it up, further catapulting it into the drawing rooms of people who have not yet heard of Facebook or are privy to the phenomenon of a lanky young man crooning 'Why this Kolaveri di? ', a north Indian friend asked me what kolaveri means. He has another barrage of questions. Is it a Tamil song? (Tanglish has obviously confused him.) And a whole lot of things about Dhanush and his lineage (for one, about the fact that he is the superstar Rajini's son in law). That besides, he loved the song. But then, everybody loves it. Don't they? Kolaveri stole the limelight from right under the nose of Sheelas and Chammak Challos, despite the fact that there are no explosive item-girls present in it and that there was not even a proper video to boast of. A Wikipedia entry, more than 11 million views in Youtube and the same amount of shares in Facebook, trending topic on Twitter for many days and even an MTV premiere (a first for MTV that has never telecast Tamil songs before), Dhanush couldn't have asked for more ways to promote his movie 3. The last we heard a Tamil song go viral (all over India) was Vijay's Appadi Podu for the movie Gilli (talking of which, the Appadi Podu song is recently officially acquired by Sonu Sood to be featured in his production venture and Vidyasagar is composing the tune for Hindi). That happened before the advent of Facebook and other social networking sites so the success was sort of muted unlike Kolaveri. And oh, there is even a Carnatic version of the song now. That notwithstanding the fact that there are numerous other versions floating around in the cyberspace universe. One that is particularly funny is that of a Punjabi girl singing the song. Kolaveri is also finding place in common culture too. A video, featuring the Sharad Pawar slap incident with Kolaveri song playing in the background is almost going viral. TechZone, the company that provides content for leading Indian network operators including Airtel, Reliance and DoCoMo announced that the song has been already downloaded 20,000 times in the past five days. You can set it as your caller tune or download it on your mobile based on the standard download charges of your operator. The spunky Tanglish lyrics and the tune have also found mention in the tweets by folks from Bollywood including Abhishek Bachchan, Karan Johar, Neha Dhupia and Shreya Ghoshal. Anirudh, who tuned it up, might have already received a few calls from prospective Bollywood producers. Dhanush has unwittingly kicked off a topic on tapping the potential of social networking sites to promote a movie. A marketing tactic that is sure going to be studied in the days to come: even adopted by other filmmakers probably. What Kolaveri did to the movie is kind of lasting. The national channels that telecast the uprising of the song on cyberspace are going to carry news about the movie's release when it's out. I can already see what the ticker would read: 'Kolaveri on big screen.' That's more than the required thrust for the movie's opening. The huge onus of creating a music video, complementing the success of the song with its working video, now lies with the 3 crew. Whether they decide to incorporate it in the film or make it a title song, they will have too many tongues wagging when the official version of the song is released. Yes, we all know that the attention is ephemeral. The Mumbai flash mob video, of around 200 students, dancing to the title track of Rang De Basanti in the well choreographed video is slowly scrambling its way to reach kolaveri. Will it make kolaveri pale in comparison? To quote a cliché: only time will tell. Whoever said fame is short-lived. As for my friend, I told him he can download the song on his mobile. Or even set it as his caller tune.